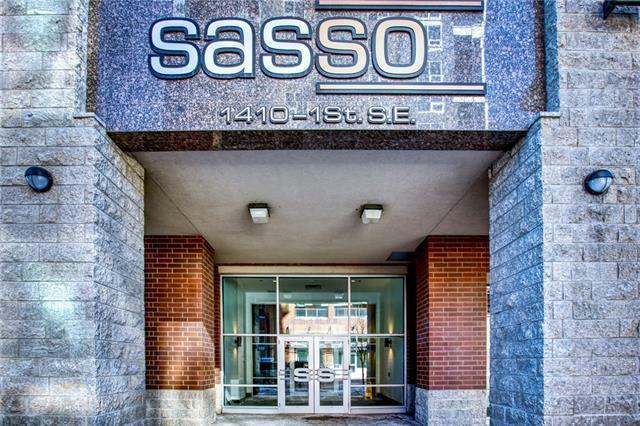 Dont miss out on this awesome 1 bedroom condo with downtown views from the amenity rich "Sasso building. Featuring an open plan that combines the living, dining and kitchen areas that create the perfect flow. Good sized bedroom with walk through closet to cheater door to the bathroom. 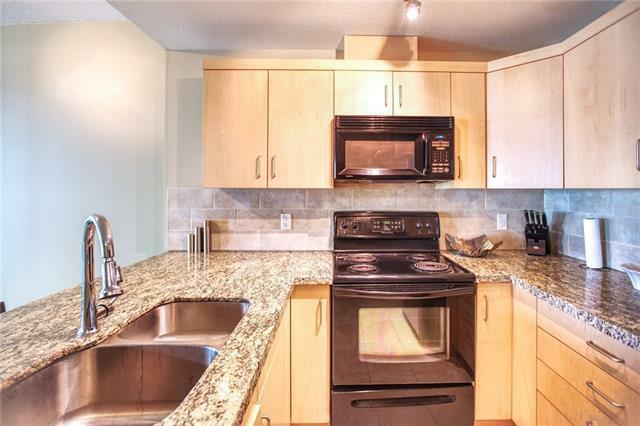 Unit is topped off with in-suite laundry, balcony with gas hook up, underground parking stall and storage locker. 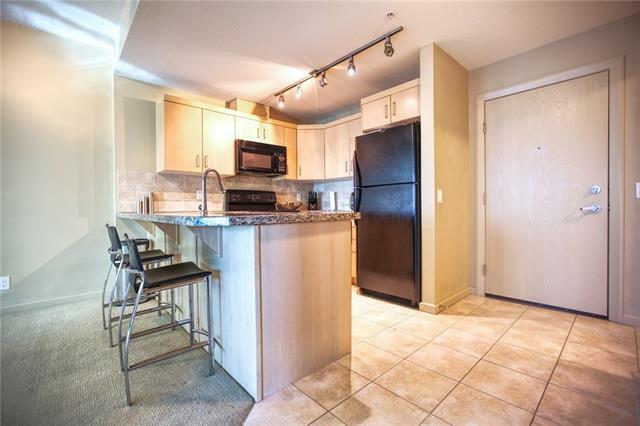 Don't forget to tour the amazing amenities in the building: full gym, hot tub, steam room, games area with wet bar, pool table, lounge area and theatre room! 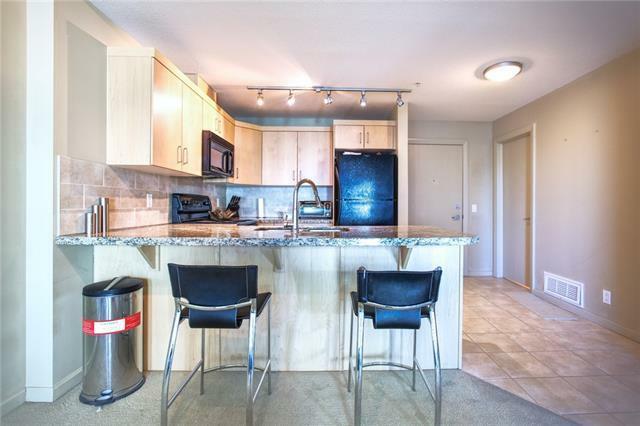 Perfectly located in a much sought after location as you can enjoy quick access to the downtown core, C-Train, Saddledome, Stampede grounds, 17th Avenue, shops, restaurants, groceries, and so much more.